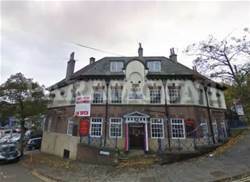 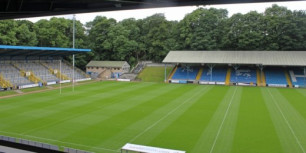 The-Shay is home to Halifax football and Rugby League and has been home to Speedway and even Ice Skating in the past. 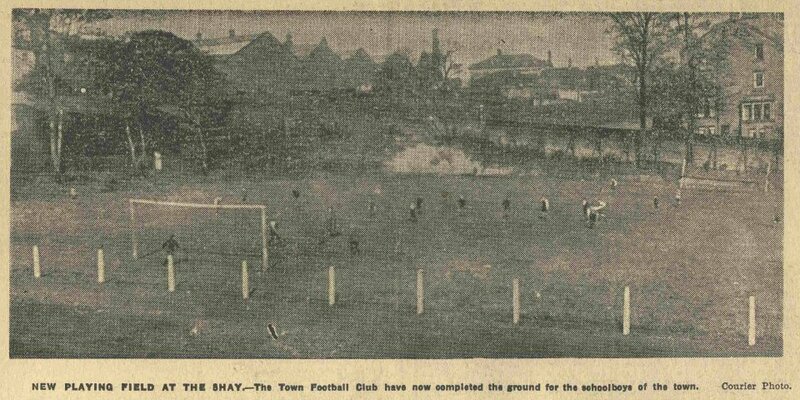 This is where Shay House stood which was later to become the home of the football ground as we now know it. 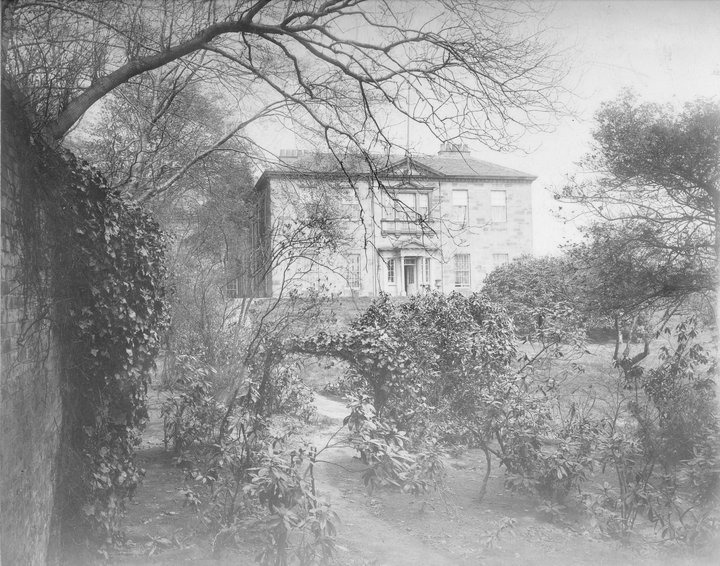 Shay House is visible through the trees. 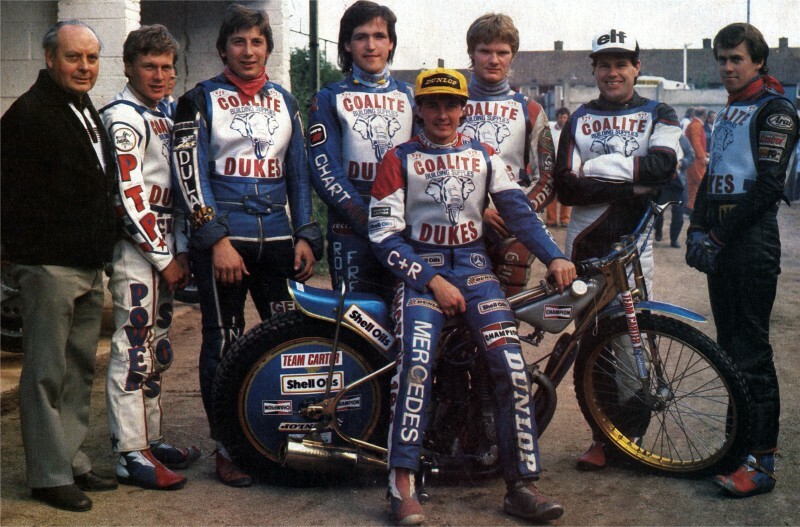 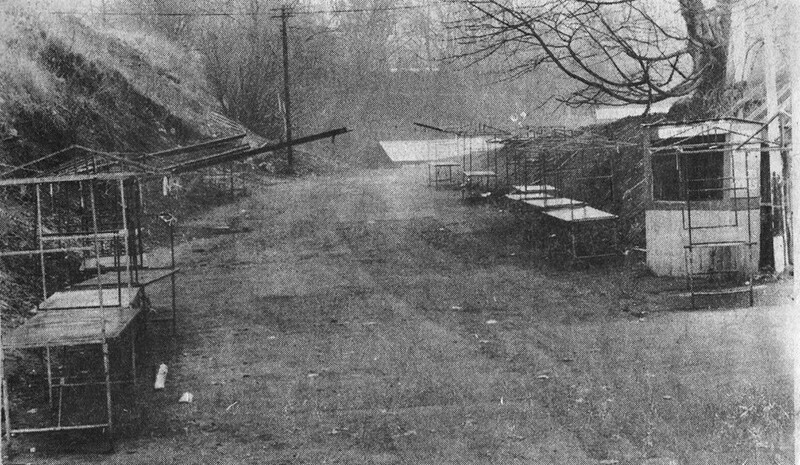 Speedway was very popular at the Shay. 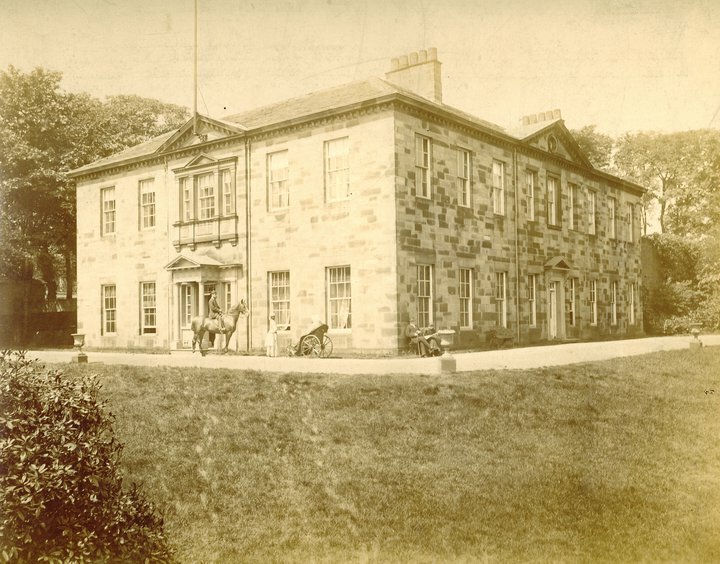 This website gives a vivid account of the 'Halifax Dukes' history. 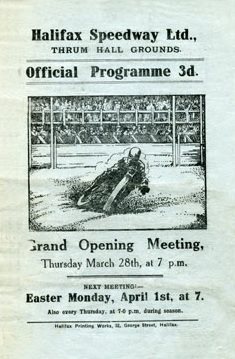 Speedway has taken place at a couple of venues in Halifax since the first meeting in 1928. 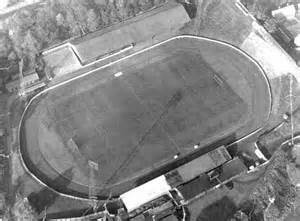 That initial meeting took place at the Thrum Hall Cricket Ground on a cinder track on 2nd May 1928. 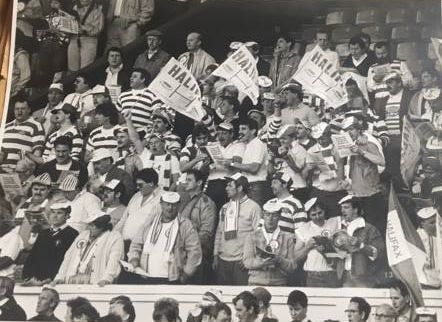 It was witnessed by a crowd in excess of 5000 and was even more remarkable in that it was lit by flares spread throughout the circuit, no doubt an amazing sight. 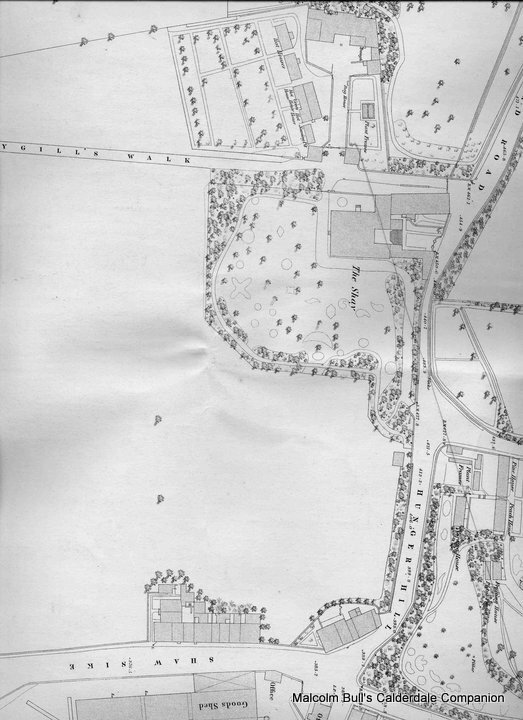 The final meeting at the Thrum Hall circuit was held on 4th September 1930. 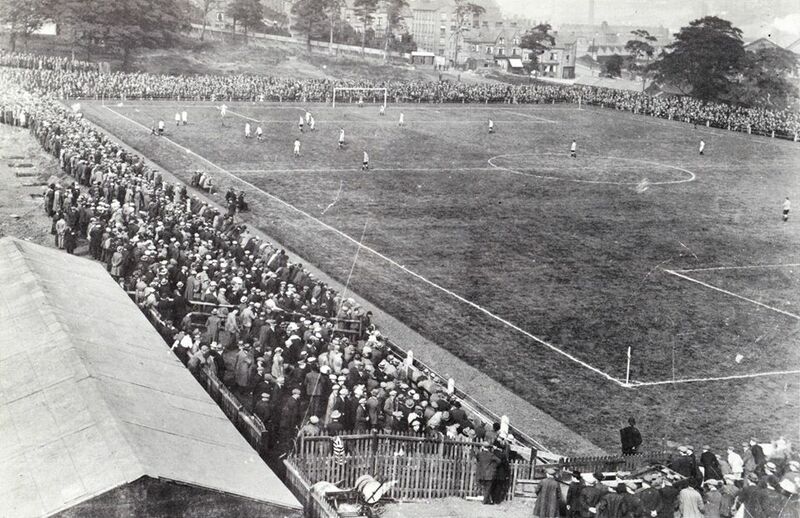 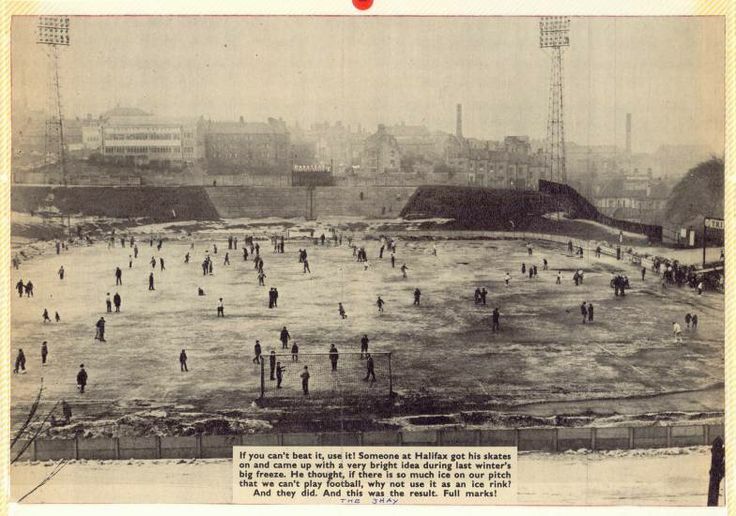 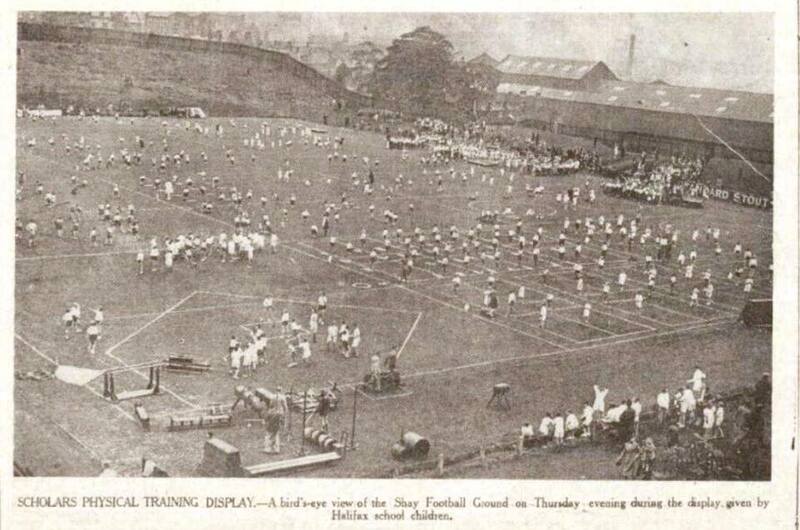 By 1949 the Dukes had a new venue at The Shay, a ground they shared with Halifax Football Club. 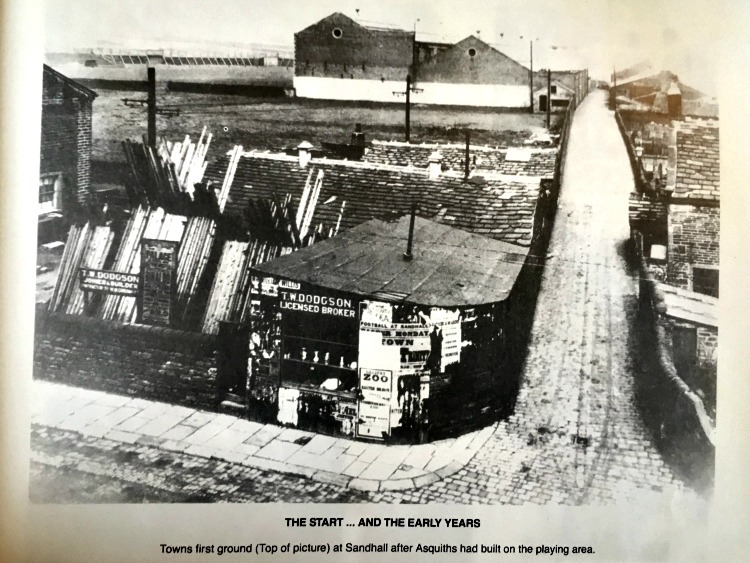 The first meeting took place on 6th April 1949 when they were defeated by 45-37 by Yarmouth in a Division 3 match. 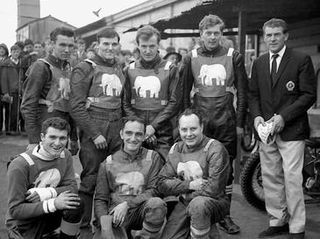 They enjoyed 2 further seasons but then closed until 1965. 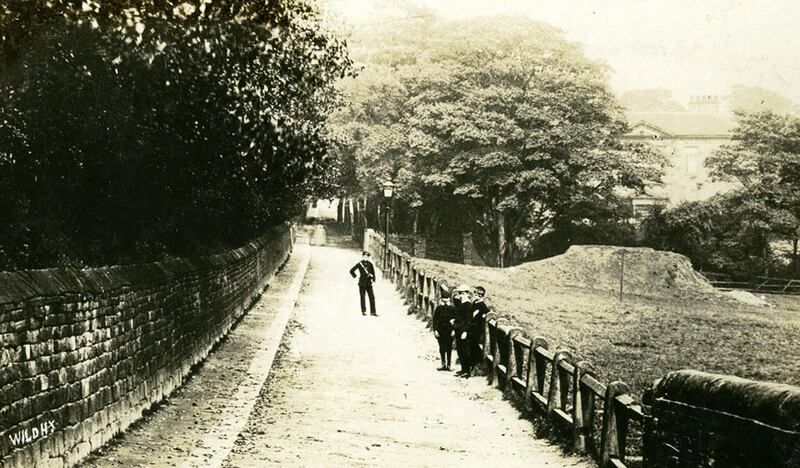 Sunday mornings were once popular at the Shay market stalls.